These days, with so many DACs, integrated amplifiers, and preamplifiers sporting USB digital audio inputs, you’d think that USB audio converters -- devices that convert USB signals to S/PDIF digital audio signals -- would be a vanishing breed. For those who’ve never used one, a USB converter allows the USB output of a computer to be connected to any component with a standard S/PDIF digital audio input. Granted, there aren’t all that many manufacturers making those devices anymore, and most manufacturers typically have only one USB converter in their product lines. But considering the number of legacy DACs, A/V processors, and receivers out there that lack USB inputs, and the surging popularity of streaming music from computers, Bel Canto may be on to something in having recently introduced three new models to replace their USB Link 24/96. 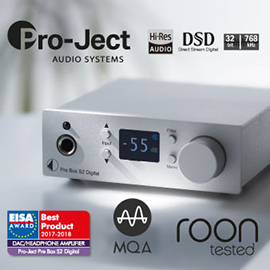 The Nuforce DDA-100 Direct Digital integrated amplifier that I use in one of my systems has a USB input, but the Anthem Statement D2 A/V processor in my reference system can accept digital audio signals only via its HDMI and S/PDIF inputs. To stream digital signals from my computer to the Anthem, I need a USB converter. So the decision to review Bel Canto’s e.One mLink USB converter ($375 USD) was a logical one. Like many USB converters, the Bel Canto mLink is housed in a small aluminum case; this one measures 4”W x 1.2”H x 4.75”D. It draws power through its USB Type-B input (when that’s happening, a green LED lights up), and it has a single S/PDIF output on a BNC connector. And that’s about all that’s visible on the exterior of this little black box. Inside, the mLink has what Bel Canto calls dual low-phase-noise clocks. It naturally features asynchronous USB operation, which decouples the word clock from the connected computer’s typically noisy clocks. The mLink is claimed to generate 10 to 100 times less noise than those typical oscillators. Its proprietary 500MHz DSP core supports 16- and 24-bit data at sample rates of 44.1, 48, 88.2, 96, 176.4, and 192kHz. The mLink’s power is filtered through multiple dedicated supplies, and it’s natively compatible with Apple computers; a driver may need to be installed on a Windows PC depending on which OS you are using, before the mLink can be used with it. Some might prefer that Bel Canto provide an RCA coaxial output, but the mLink’s BNC connector theoretically provides a superior connection, and Bel Canto does provide a BNC-to-RCA adapter for those who lack BNC-terminated cables. I would have preferred that the input and output be located on opposite ends of the mLink, so that cables would not have to be twisted or bent, which can be problematic with shorter cables. Other than these minor niggles, the mLink appears to be well built and well designed. The printed instructions consist of only a single page, but the mLink’s ease of operation required nothing more. You simply connect the mLink’s USB input to your computer and its S/PDIF output to your DAC -- in my case, the Anthem Statement D2. My Asus Aspire One 722 netbook computer, running Windows 7, immediately recognized the mLink but informed me that it couldn’t install the required driver. This was not unexpected; the instructions state that Windows XP and 7 require drivers to be downloaded from Bel Canto’s website. I downloaded the driver and, after installing it and setting foobar2000 to WASAPI output, was up and running in a matter of minutes. 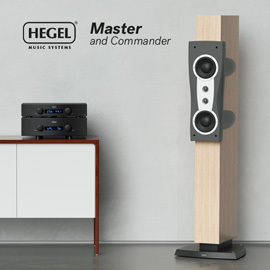 In addition to the Anthem D2 and my computer, my system comprised a Musical Fidelity V-Link USB converter; an Oppo BDP-105 universal Blu-ray player; Bel Canto e.One REF1000 and eVo6 power amplifiers; an Axiom ADA-1000 power amplifier; KEF R900 main and R600c center speakers; Definitive Technology BP-8080ST surrounds; two Paradigm Reference Servo-15 v.2 subwoofers; interconnects and speaker cables by Analysis Plus, AudioQuest, and DH Labs; and power cords and power conditioning by Essential Sound Products, Blue Circle Audio, and ZeroSurge. Although I’m satisfied with the sound of digital audio recordings through my reference system, inserting the mLink immediately improved things -- the changes, though relatively minor, were still worthwhile. Eva Cassidy’s voice in her cover of Sting’s “Fields of Gold,” from Cassidy’s Live from Blues Alley (16-bit/44.1kHz FLAC, Blix Street), for example, can sound a bit shouty, but the mLink added a touch of smoothness without taking anything away. There were more air and space around instruments, such as the guitar in “People Get Ready,” and the soundstage was bigger with “Oh, Had I a Golden Thread.” I was able to hear more of the gentle melodies and Cassidy’s expressive singing, which greatly enhanced my enjoyment of the music. Compared to my usual USB converter, the Musical Fidelity V-Link ($169, discontinued), the mLink’s greater transparency allowed me to hear things in recordings that had previously not been as apparent. There was greater sustain with the acoustic guitars in “Time After Time” (The Body Acoustic, 16/44.1 FLAC, Epic) that was lost with the V-Link. Sarah McLachlan’s voice is especially well recorded on this track, with a wispy angelic quality, floating freely among the strings and percussion. There was also greater precision and tightness to the drumbeat with the mLink, which had a better sense of pace than the V-Link, which sounds a little looser and indistinct. The gently rolling violin and viola in “True Colors” had a warmth and richness that had not been there before, and voices were again smooth and expressive. Overall, it was as if everything in the soundstage was slightly more focused, allowing me to hear deeper into recordings and follow melodies more easily. In his review of the AudioQuest DragonFly USB DAC, fellow SoundStage! Network contributor Doug Blackburn described how he could hear just the right proportions of aggression, edge, and energy in Joan Jett’s “Bad Reputation.” I heard something very similar with the mLink in my system. In fact, there was even more raw power in Jett’s cover of the theme from The Mary Tyler Moore Show, “Love Is All Around,” from Jett Rock: Greatest Hits of Joan Jett & the Blackhearts (16/44.1 FLAC, JVC), and the anthemic “I Hate Myself for Loving You.” The mLink let me feel all of the aggression in these recordings without going over the top, so that I could appreciate all of the snarling energy in Jett’s singing and guitar licks. Although high-resolution multichannel audio discs such as SACDs, the mostly defunct DVD-Audio disc, and, most recently, Blu-ray Discs, have made DTS CDs obsolete, I have some of those recordings, which I’ve ripped to my hard drive. One of my favorites is still Boyz II Men’s II (DTS FLAC, DTS). The melodic “I’ll Make Love to You” and the pulsating “Thank You” sounded exceptionally clean and clear in all channels, but it was their a cappella interpretation of the Beatles classic “Yesterday” that really stood out for me. The arrangement was dazzling in its purity, including the baritone, whose voice was very distinct, along with all the other voices, making it easier to visualize each singer. The mLink also breathed life into Sting’s Ten Summoner’s Tales (DTS FLAC, DTS). His voice in “Fields of Gold” became more distinct, where it had previously been somewhat blended with the instruments. “Shape of My Heart” sounded more expansive, with guitars that echoed deep into the soundstage, and precisely placed percussion with a sense of both height and depth within the extended recorded space. With the Bel Canto mLink connecting the Anthem D2 processor to my netbook, everything sounded a little clearer, with a better sense of space and a smoother sound overall. Granted, the less expensive Musical Fidelity V-Link is still a very good USB converter, but it’s been replaced by the V-Link 192 ($399), which I haven’t heard. 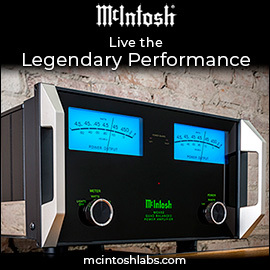 As its name suggests, the newer model supports sample rates up to 192kHz; the original goes up to only 96kHz. One of the great things about the Oppo BDP-105 is that it has S/PDIF inputs so that it can be used as a high-quality DAC. Using the mLink converter in this way with the Oppo improved its sound when connected to my netbook computer. However, the differences were not as great as those between the Bel Canto and Musical Fidelity USB converters used with the D2 processor. The acoustic guitars in Foreigner’s Acoustique: The Classics Unplugged (16/44.1 FLAC, Sony) sounded more fleshed out with the mLink in the loop, especially in the driving “Juke Box Hero.” Even though they were powerful, the guitars had a relaxed quality that was never strained, and rhythm and lead guitars were easily distinguishable. The same could be said for the soaring voices in “Waiting for a Girl Like You,” which sounded exceedingly clean and detailed -- and especially so for a standard-resolution recording. Switching gears to the hi-rez but heavily processed sound of Daft Punk’s Random Access Memories (24/88.2 FLAC, Columbia/Édition Studio Masters), the differences between the mLink and the USB input of the BDP-105 were less obvious. “Get Lucky” sounded a little punchier and more upbeat with the mLink, but I could hear no difference in the more turbulent “Contact,” with its frenzied drums, rising synth lines, and glorious crescendo of distortion -- they sounded equally as cacophonous, but in a good way, with and without the mLink converter connected to the Oppo. 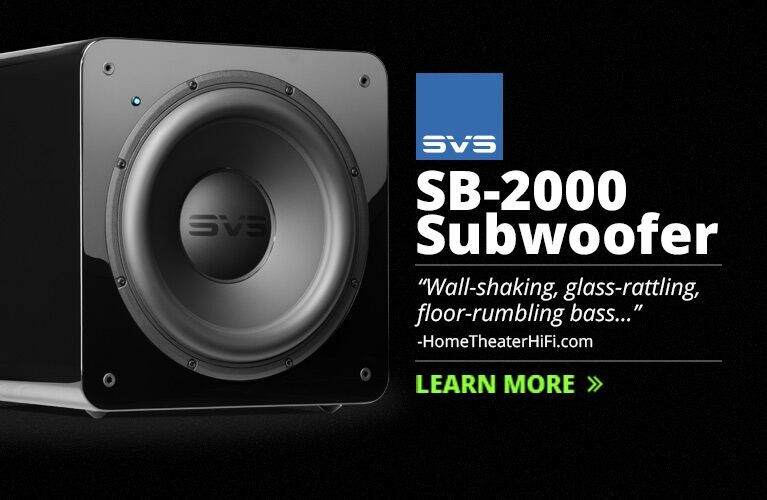 Since their introduction over 30 years ago, digital audio components have constantly improved. 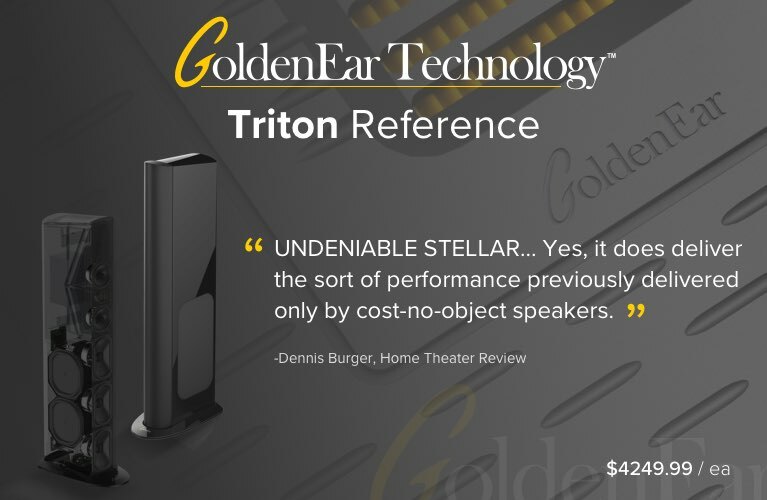 Just when I think that they can’t get any better, a new product comes along that somehow manages to make my system sound even better. 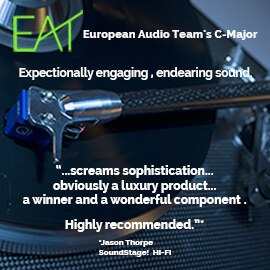 Such was the case with Bel Canto Design’s e.One mLink -- when used with a good DAC, it increased my enjoyment of my digital playback system, whether connected to my Anthem Statement D2 A/V processor or my Oppo BDP-105 Blu-ray player. Its improvement of transparency, imaging, and low-level detail make it a cost-effective upgrade for $375. If your digital audio system doesn’t already include USB input and you’re thinking of adding a USB converter, a Bel Canto mLink would be an excellent place to start.